It was only a couple of days ago when Sony launched the very brand new full-frame 24mm F1.4 G Master prime lens. Even if the fast maximum aperture is really impressive, the new lens is very small and light compared to its similar models. It weighs only 15.7 ounces, as opposed to other model that is even 50% heavier and bulkier. What’s to saw in a nutshell? Even if it’s originated in the classical GM lenses, which are rather large in order to provide good performance, the new lens manages to make a great first impression as it offers optical performance despite its size and weight. Engineered to provide best performance across all aperture settings, the new FE 24mm F 1.4GM used the most advanced optical technologies from Sony, only to satisfy the most demanding professionals out there. The new lens is the most lightweight and the most compact in its class and it features a 67mm filter diameter. It’s designed and made to match the high standards of the G Master series, allowing impressive resolution and astonishing bokeh- the signature features of the G Master brand. A lot smaller than the similar model from Sigma, the new lens is going to remind you of the F1.8 prime, but it does come with the optical performance of the 24mm GM. The new Sony 24mm F 1.4GM includes 13 elements, two XA (extreme aspherical) which are going to lower coma, and 3 ED elements. Sony’s Nano AR coating lowers the risk for ghosting and flare and we sure appreciate the absence of distracting flare artifacts and high contract images that we get even when shooting into the bright sun. The 11 aperture blades sustain smooth circular out-of-focus highlights and bokeh, even if you’re going to stop down to F2.8. At the same time, the 22 blade sharp sunbursts are going to stop down further with pinpoint and bright light sources. The lens comes with a new Direct Drive SSM motor for the focus, ensuring almost three times greater thrust than the previous model. However, the positional precision is improved and the operation is quiet for both stills and movie shooting. The manual focus ring is going to provide a linear answer, which isn’t common for the mirrorless lenses, but really helpful when shooting video. It sure reminds of a mechanically coupled focus ring. The focus is rather quiet and the focus breathing it minor. 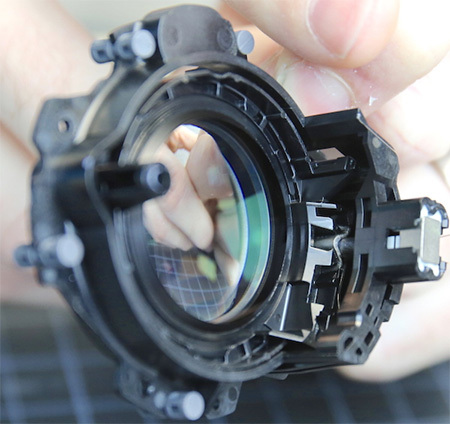 This and the liner focusing behavior, along the small and lightweight body, explain why the lens is great for video. The aperture ring (that comes with de-click feature) has a customizable focus hold button and an AF/MF switch allow control while shooting. The new model is no exception within its category so it’s weather sealed. As a matter of fact, the lens has a dust and moisture sealed design and the fluorine-coated front lens element handles the shooting in inclement conditions. The highly compact and lightweight body turn this lens into the ideal option for the adventure and landscape photographer that is hiking, climbing or travelling for a long time. The performance is only going to be more impressive when the lens is paired with the Sony’s award winning α7 / α9 cameras. The lens is just the ideal combination for the Sony’s APS-C sensor mirrorless camera such as α6500 and α6300, completing the number of native Sony = α E-mount lenses to 48. It’s not only the landscape and the starscape shooting abilities that are outstanding, but also the amazing close up performance of 0.79ft. (0.24) which is going to provide natural and soft bokeh. 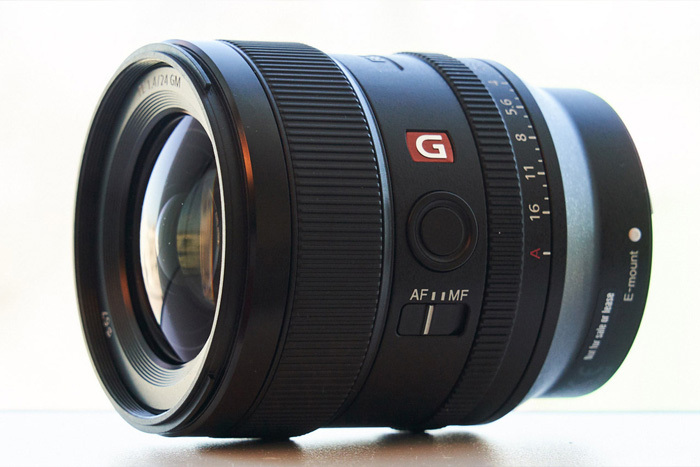 The feature isn’t new among the Sony’s G Master series of lenses. The high control of various factors (spherical aberration, axial and lateral chromatic aberration), the design and the manufacturing stages are the reasons for which this lens is capable of such a great performance. What do we like the most about it? What are the downsides? The high resolution and sharpness through the correction of a large range of spherical and chromatic aberrations are only some of the features to highlight on the new lens. What’s our final word on the lens? No lens is perfect, but this one is coming really close to being one. Lightweight and small, it impresses with its features and silent operations and is a solid option for the professionals out there. As long as you got the money for it, you shouldn’t hesitate and give it a go.